There is a fiction, a folklore among the women of Himalayas, that the Himalayan Goddess, got enraged that she was defiled by outsiders that she flung hailstones as hard as iron balls and killed them. Fact is stranger than fiction and there is no other place that defines this than Roopkund, because this story turns out to be a fact!!! 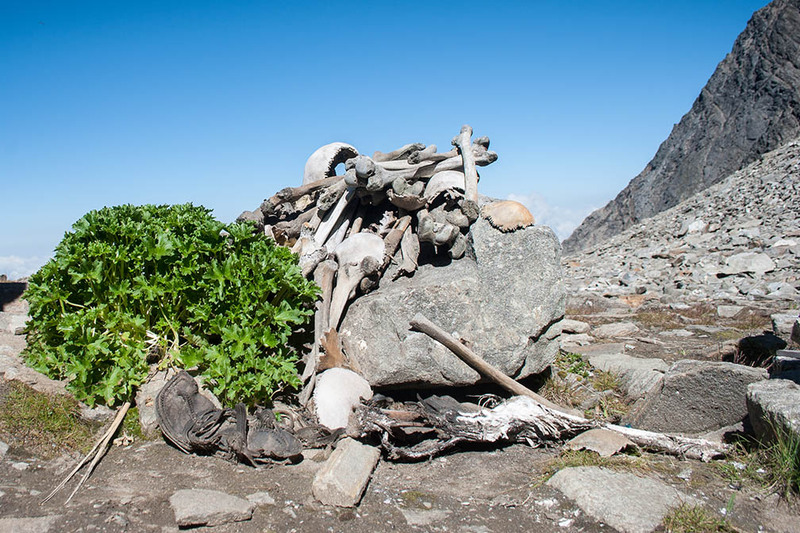 In 1942, when India was a British Colony, a Forest Guard H K Madhawl, spotted some 200 skeletons in Roopkund, located 16000 feet above sea level. Being WWII period, he thought they were Japanese intruders. Much later in 2004, finally, with the advancement in DNA Technology, the mystery of who they were, was finally solved. They were a small group of similar people and a large group of assorted people, who are assumed to be pilgrims guided by locals. They seem to have been attacked by blunt force on the head which caused their death. Did you guess it? Yes, hailstones indeed, which were as big as cricket balls! This has happened in 9th C CE. Some of these skeletons even have their hair and flesh intact, thanks to the freezing temperatures and dry winds of the Himalayan region. Apart from these some of their belongings has also been preserved under layers of snow including rings, spears, leather shoes, and bamboo staves. This major section of unrelated people (i.e., the pilgrims), share most of their dna with Iran while the small group of related people share their dna with local people. Some of the skeletons are in display at the Anthropological Museum of India in Dehradun. I was first intrigued by this. It is believed that they are pilgrims because there was no traditional commercial route in this region however it was used to reach the Nanda Devi Shrine. Personally I was also reminded of the Ancient Greeks who got lost in this region. Often they are referred to as the ‘Lost Children of Alexander the Great’. However the timeline contradicts as this happened in 850 CE while Alexander is from 350 BCE. So yes, till date, many of those skeletons are there! However most are in the depths of a frozen lake, which are visible only for one month every year when the ice melts. But to reach the spot, it takes atleast a 5-6 days trek in a difficult terrain. The trail is however an incredibly beautiful one with views of peaks of Kedarnath, Chaukhamba, Neelkantha, Trishul & Nanda Ghunti. Today the situation isn’t that amazing. Sadly, the skeletons are being taken by trekkers and locals alike as a trophy, a souvenir. So currently it is being considered to bring this region under protection. The usual visit begins at Lohajung, which is the last electrified village before heading into Roopkund. The trek by any standard isn’t an easy one, not even a moderate one. Trekking organizers like Bikat Adventures, mention this as moderate to difficult. I’d say it is more towards difficult, esp if you aren’t a very experienced trekker. Physical fitness is extremely crucial and so are the trekking gear. 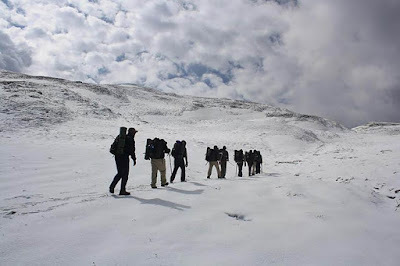 Till date hail storms are common and many trekkers have faced atleast one in course of their trek. If you know me, you’d know I’m rather fascinated by anything historical and with so much of mystery shrouded around it, this has to be my top priority when I plan a Himalayan trek. Since this trek reaches altitudes of more than 5000m climb, experience in terms of hiking for long hours, and not having altitude sickness etc are a must. This cannot be my first Himalayan trek for it is long, high, cold and difficult. This can only be done after doing a few lighter Himalayan treks. I don’t know if I’ll be able to do, but I really hope I do. Fingers crossed…..
P.S: In collaboration with Bikat Adventures. I have read about the Roopkund skeletons. What I didn't know was that they go way back to the 9th C CE! And you say that some hair is still intact? Wow. I have heard about this trek for the first time from one of my friend who has recently gone there. After listening to his stories, I also secretly wish to take up this trek but I am very poor in trekking. Now I am intrigued by the skeletons. Very interesting story, I can see why it's high on your list of places to trek in the Himalayas. I would like to do a trek here one day as well, it looks and sounds fascinating. Not sure I'd be happy to come across a bunch of skeletons though! 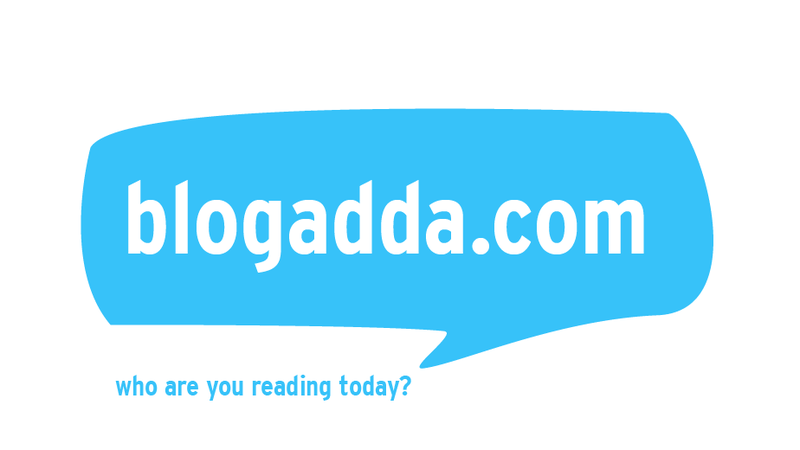 What an adventure filled blog! The skeletons sounds very scary to me! but, Im sure it add's to the charm of the trek! that's so crazy that some even have there flesh and hair intact still omg... I hope it didn't smell! That Roopkund story is like a scenario out of a modern day disaster movie. I would not want to go anywhere there was a possibility of hailstones that large. Not a trekker, anyway, but love to read stories of people who are into trekking. Good luck! Hope you can make it. I have never tried going to such high attitudes, would like to try with something simplier first. Fascinating story and hell of a hike. I would love to do this. Himalayas have been in my sights for a long time. This is one trek, I have been meaning to go for a long time. Apart from the mysterious skeletons, its the amazing views which have put Roopkund on the top of my to do treks. Wow, that history is amazing. That sounds like some trek. I am not a hiker but my husband and son have hiked in the Himalayas and absolutely loved it. Roopkund looks an amazing place for trekking. It's also a risky place as sudden hailstorms kills thousands of people. I never knew about this skeleton story here in Himalayas. The trekking through this beautiful mountain range must be beautiful but interesting also as it is related to centuries ago. First I too thought of Greek DNA in those skeletons but as per your article it is not matching the timeline. 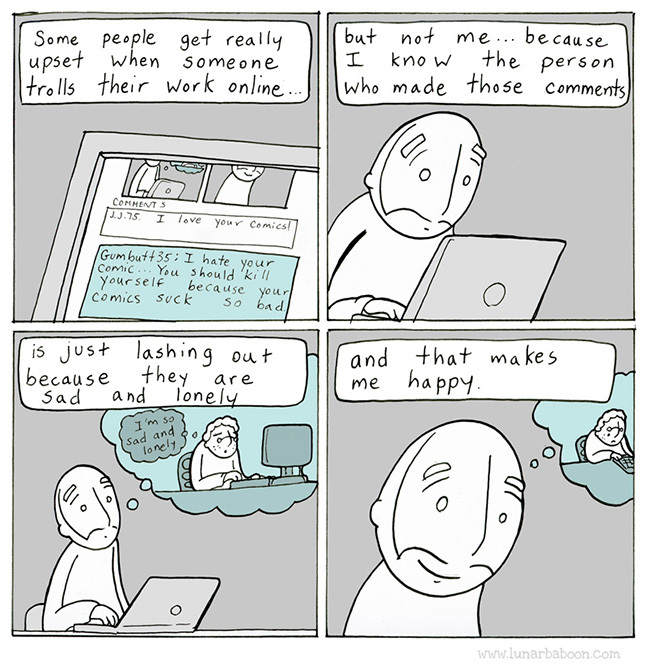 Great interesting story.